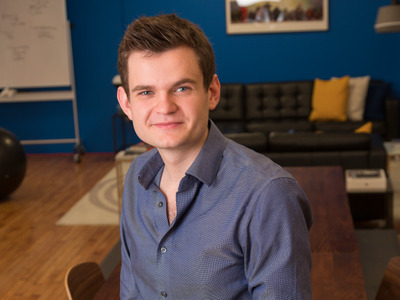 For Scott Crouch, building his startup included several hours in a police car. The Harvard graduate first began working on his software company, Mark43, in 2012 when he was given a class project to work with the Massachusetts state police department. During the project, he had to figure out how to use data and software to help the Massachusetts state police fight gang-related crime. Crouch comes from a family of police officers, so spinning the project out into a full-fledged company was a “mission-driven project.” As he began making progress on the idea, he was approached by one of the largest police forces in the country: the Washington D.C. Metropolitan Police Department. Mark43 didn’t have a full product at that point, so the company committed to building it in tandem with the D.C. police. Despite coming from a family of police officers, however, Crouch didn’t know the ins and outs of an officer’s job. So the company’s founders — Crouch, Florian Mayr, and Matthew Polega — spent hours on ridealongs in Southeast D.C.
Mark43Here’s what Mark43’s software looks like for the officers who use it. Mark43’s software is aimed at addressing two main problems with the system most police forces currently use: poor usability and slow speeds. Mark43 offers a cloud-based system that police officers can access on a tablet and use to do everything from arrest reports to investigations to data sharing and analysis. The software that most police currently use was designed in the 90s and hasn’t been overhauled since, Crouch says. Now, Mark43’s system has been deployed in police forces around the country, including six in Los Angeles County and several in the Pacific Northwest. Mark43 has offices in New York, Toronto, and D.C., and plans to open up a West Coast office early in 2017. Next, the company is setting its sights on becoming the operating system for all local and state governments, and plans to build a new 911 system for police and fire departments. “This whole industry is ripe for an overhaul,” Crouch said.